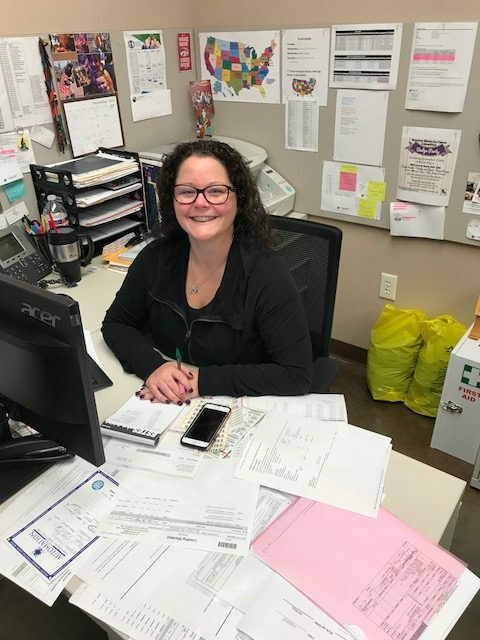 Patience Bailey is the Office Manager of our Baytown, TX facility and is the one who keeps the office up and running as smoothly and efficiently as it should be. She is an enthusiastic manager, a dedicated mom and Houston sports fan. Tell us a little about your role at National Tube Supply. I am the office manager for National Tube Supply’s Baytown facility. I have been involved with the company since May 2014 and some of my daily duties include checking orders, creating RMA’s, shipping on box trucks and doing a daily count report. I work very closely with the shipping department, the receiving department and also the warehouse. I love everything about my job! I get to help solve problems and I collaborate with the other facilities in Illinois, California and Canada, and I really enjoy working closely with the team here in Baytown. I have a 6-year-old son who plays baseball so most of my spare time is spent watching him play. We are big sports fans, so when I’m not watching him play, we love watching the Astros and the Texans! What do you think sets National Tube Supply apart from the competition? Our commitment to our customers. The whole company is committed to exceeding customer expectations and here in Baytown, we work really hard with a smaller team to make sure all our customers are happy. Anything else you want people to know about the Baytown facility? We all work so well together and we are constantly helping each other out to ensure this service facility is the best it can be. We’re all very excited to watch this branch grow and to continue serving Texas and the surrounding states with all their tubing requirements. Where do you see National Tube Supply in five years? I would love to see the Baytown, TX location double its employee headcount as the company continues to grow. I’m sure in the next couple of years, we will see both the expansion of the shifts in the warehouse, as well as the numbers on the sales team, and I’m very excited to watch it happen. Want to learn more about National Tube Supply or the Baytown facility? Browse our online inventory or get in touch with our team of experts, we’re always happy to hear from you.